The user-facing side of the blog we’ve been building together counts as part of your in-class assignment grade. Complete the following bullet points for full credit. 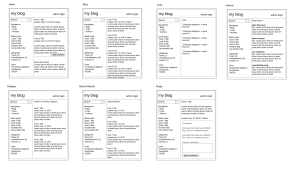 Links Template Page– build a new template (links.php) that displays a list of all “links” from the database, showing their title and description (See wireframe below). The user should be able to click the title of the link and go to the url. Add a link to this page in the sidebar. 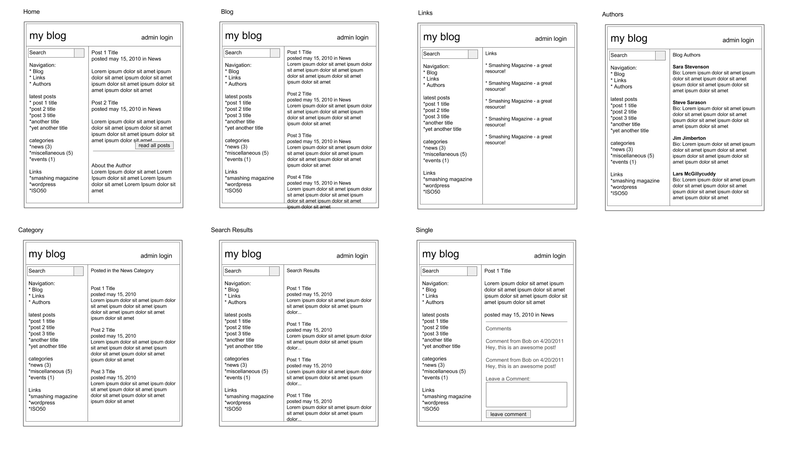 Authors page (authors.php) list all the users who are admins alongside their bio (see wireframe below). Add a link to this page in the sidebar. Category Template– If the user clicks on one of your category names (like in the sidebar), Send them to a page that lists the latest 10 published posts in that category. Achieve this with just one template file. 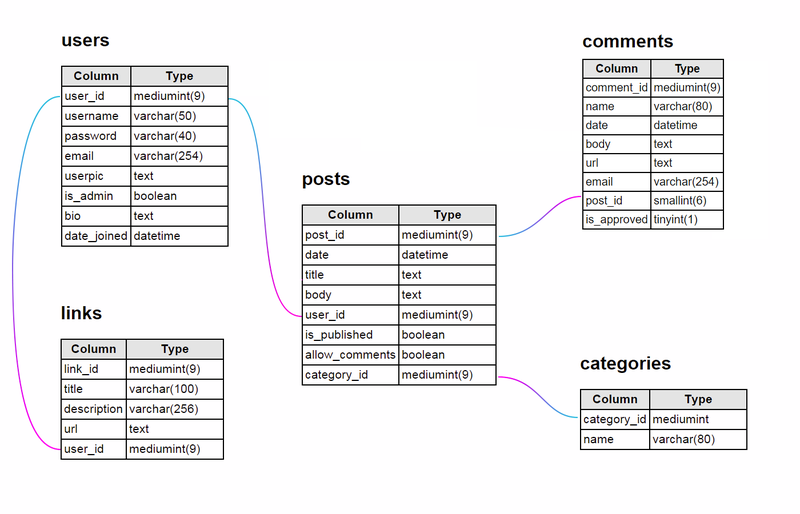 (category.php) Hint: Look at the way we used single.php to display any post by adding a post_id to the query string.